The Honor 8C that was launched in India in late November last year has received a limited-time price cut in India. The 8C is offered in two storage options in India – 32 GB and 64 GB. The 32 GB variant was launched with a price tag of INR 11,999 ($168) and is now down to INR 10,999 ($154). The 64 GB variant is sold at the original price of INR 12,999 ($182) though. You can buy the 32 GB variant of the Honor 8C at the reduced price from Amazon India. Honor hasn’t revealed when this offer ends. 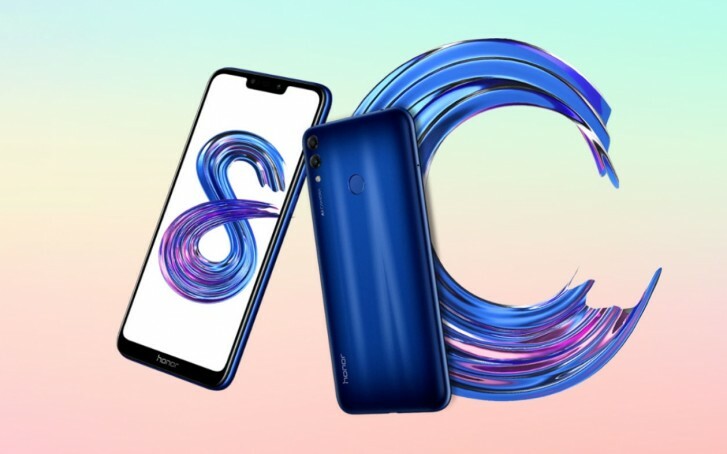 Key specifications of the Honor 8C include Snapdragon 632 SoC, 4 GB RAM, 6.26-inch HD+ notched display, dual rear cameras (13 MP + 2 MP), and 4000 mAh battery.